A very enjoyable Christmas season has been and gone, with good family, though a couple was missing on the high seas, but they were not forgotten and have since been cast ashore in Buenos Aires Argentina. To make up for their absents we had a couple of new additions at the Christmas table to help bolster the numbers, including a new companion “The Non Drinker”. This season also included time with good friends, which started the Christmas ball rolling with good food and wine at the Bluewater Grill, on a hot Thursday for what became a very very long lunch. The food was above expectations with the Soft Shelled Crab as my starter an excellent highlight that I would go back for, Acepfv had and enjoyed the Pork Belly starter and there were no complaints from The Retailer, The Instigator or The Country Squire with their starters. The mains and service were also above the average. 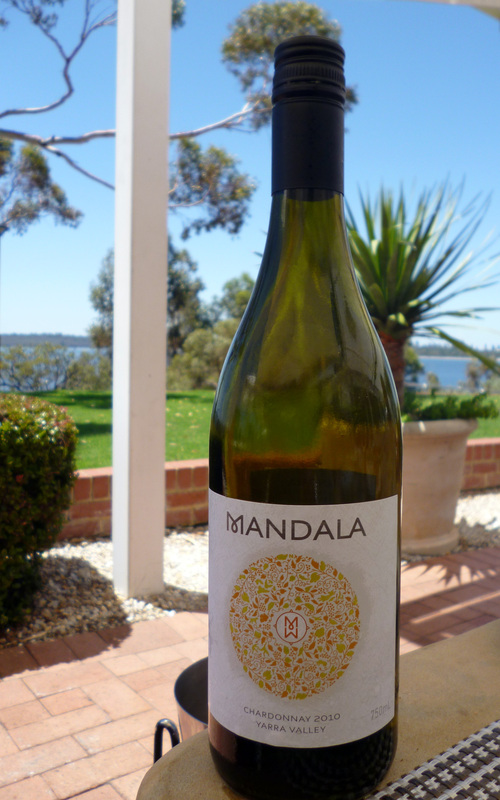 The standout wine of the lunch was a Mandala Yarra Valley Chardonnay 2010 @$52.00 by far the best value white on the wine list and with plenty of fresh citrus and light acidity, it was a refreshing lift on a hot day, sitting outside in the shade, overlooking Melville Waters. Though one has to say the wine list did disappoint, as it is overpriced even by Perth standards, an example was a Leeuwin Estate Art Series Chardonnay at well over $200.00 this is a bit rich no matter what the vintage, this one was a 2006 if I remember correctly. Even at The Rockpool Perth the prices only just touches $200.00 for their 2003 and 2005 vintages and with everything that surrounds the wine at The Rockpool, the service, the atmosphere, the glasses, the experence is a cut above the average and this helps ease the bill. You don’t get this at the Bluewater, it’s much more casual and the pricing should reflect this, it doesn’t. We moved on to a Riesling that was pleasant, but for the life of me, I can’t remember its name and did not take a photo as a prompt to an aging memory. As The Country Squire chose it, he may be able to remind us of its pedigree the next time we meet, as it’s a wine and a varietal that needs more exploring. The Instigator, not a wine drinker was happy drinking Strongbow Ciders and we were also having a few cold and refreshing Peroni’s interspersed with the wine. We moved on to a Red, yes a Red on a 40 degree day while sitting outside. Why, because there was a cheese board coming, one could ask “a cheese board on a hot day for lunch” I did The Retailer did and we skipped the cheese and went straight to desserts. The Red was a bit of a standard bearer for Margaret River, a Leeuwin Estate Prelude Cabernet Merlot but don’t expect any notes as this was at the end of a very good and long lunch. This entry was posted in Chardonnay, Food and Wine, Reviews. Bookmark the permalink. I am sure the couple were missed. However good food, great company and lovely wine made up for the loss. They were and we are glad to see them back home.